The Scots are on my mind – for lots of reasons. We (Ireland, that is) managed to beat them in the rugby last weekend, which cheered us up no end having been very disappointing against England. 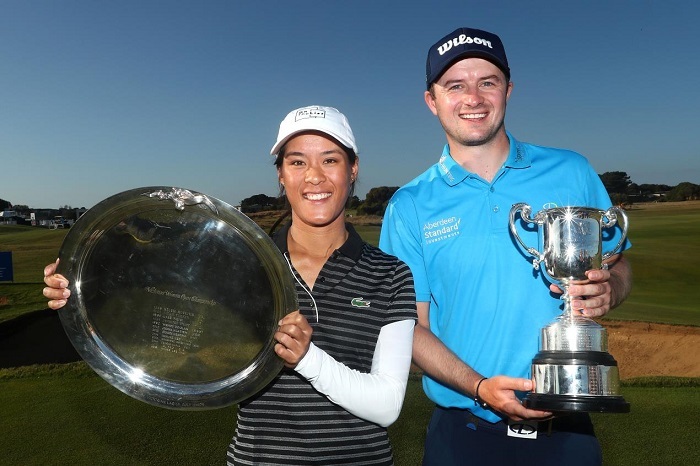 And then last Sunday there was David Law winning the ISPS Handa Vic Open, Down Under, at 13th Beach Golf Club, near Melbourne – his first ever European Tour win early in his rookie season. I first became aware of David Law round about 2010. He was an obvious talent and had at that stage already won the Scottish Boys and was on his way to annexing a second Scottish Championship. And then came a decidedly big bump in what had, to that point, been quite a smooth road. He was overlooked for the 2011 Walker Cup – and to rub salt into the wound it was to be played at Royal Aberdeen. It was a controversial admission, seemingly vindicated when GB&I managed to beat their American counterparts by 14 matches to 12. That must have rubbed more salt into the wound. That US side was dripping with talent, too, – Jordan Spieth, Patrick Cantlay, Peter Uihlein, Harris English and Russell Henley were all showcasing their skills – to no avail. David Law was no part of that immense victory, but by this stage he had already been under the wing of Paul Lawrie, former Open champion and twice a Ryder Cup player, for a number of years. That support was crucial, as it would be to any young player. Having Lawrie as a mentor with his vast experience on tap is a dream come true for all promising young Scots players and it is difficult to think of any other Scottish player who has singlehandedly given so much back to the game in his home country. Lawrie has achieved amazing things in his playing career, my own personal favourite being his performance in the 2012 Ryder Cup singles when he beat Brandt Snedeker 5 and 4 with the best figures of the day. 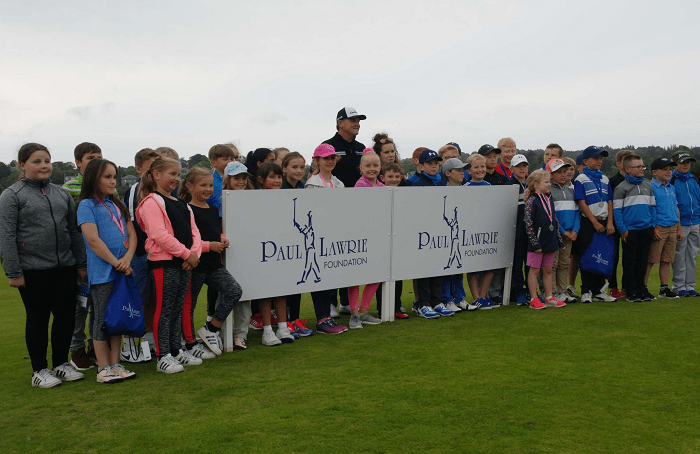 But he is arguably on track to achieving even greater things with his Paul Lawrie Foundation, providing support to legions of young Scottish boys and girls coming through the ranks. It’s his own availability and accessibility to the players that means so much and makes the difference. But back to David Law. 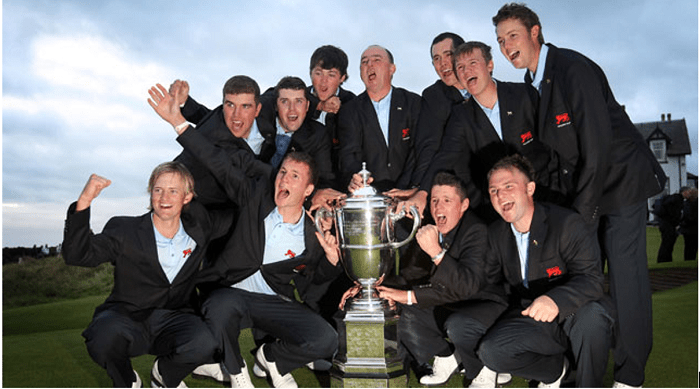 With Lawrie’s help he managed to put aside that Walker Cup rebuff and win a professional event, the prestigious Northern Open on the Scottish circuit, while still an amateur, and five years ago he made his way on to the Challenge Tour. According to Law you need to finish in the top 20 or thereabouts in the end of season rankings to be able to make a living. His best end of season ranking in his first four years was 60th. That took him up to the end of 2017, a tragic year in which he and his partner (now fiancee) Natasha suffered the loss of a stillborn son. 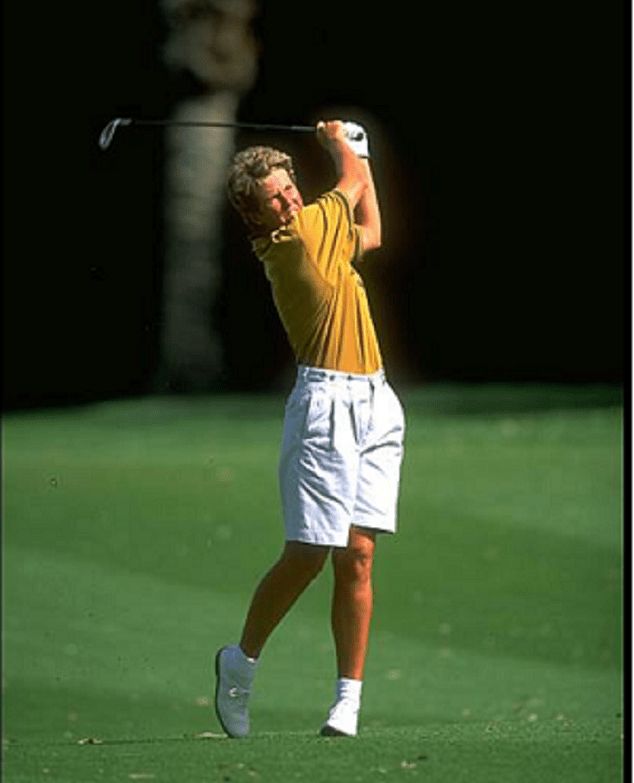 Life wasn’t good and it’s probably fair to say that on the golf side of things it was all looking a little dicey. Law admitted that he knew 2018 was always going to be a pivotal year – if things didn’t go well he was going to get a job over the winter and take stock. And then came the SSE Scottish Hydro Challenge hosted by Macdonald Hotels & Resorts at Aviemore. Admittedly it’s not a title to trip off the tongue with ease, but it’s one I’m sure that David Law will remember forever more. His first Challenge Tour victory propelled him to 14th spot in the end of year rankings and with that he bagged one of the 15 automatic cards on offer for the European Tour. Life changing and the fulfillment of part one of a boyhood dream. These are early days for the 27-year old Scot playing amongst the big boys. So far he has recorded two made cuts, two missed cuts and a victory. Apart from the welcome injection into the bank account, that victory secures him playing privileges for the next two years – job security, in other words, and it’s also the fulfillment of part two of that boyhood dream. He has now moved on to play his next event in Perth (the Aussie version) at the glorious Lake Karrinyup, a course where Gill Stewart, one of my Scottish fellow holiday makers and I represented Great Britain in the then Commonwealth Tournament back in the day. In fact, I believe there is a picture of that GB team still adorning the clubhouse walls somewhere! 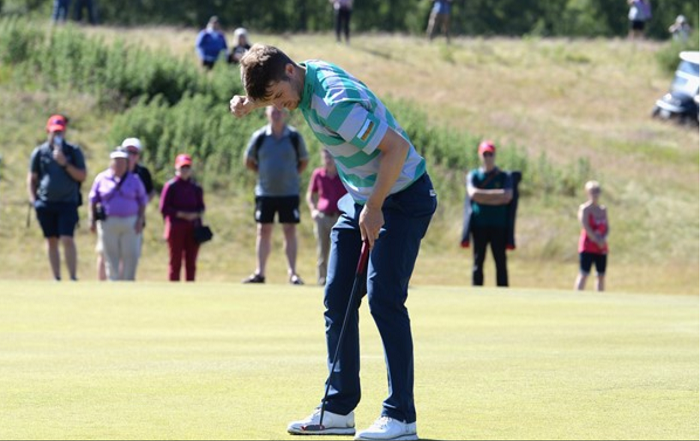 I couldn’t be happier for David Law and Scottish golf – what a boost for them all, and there is some amazing talent in the wings. Expect more Scottish success in the next wee while. Running concurrently with the men’s tournament was a women’s event for the same money. 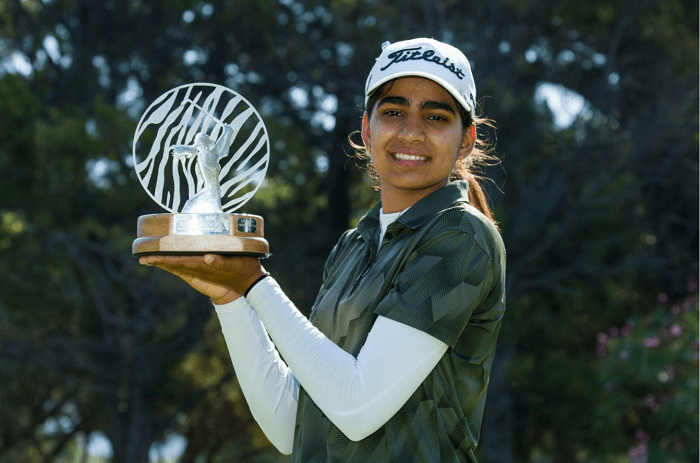 Great stuff – and an obvious way forward in the game for the women. 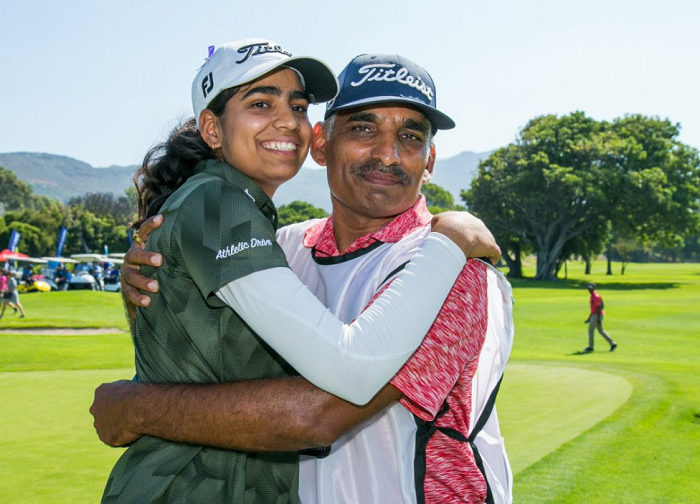 France’s Celine Boutier won and this, her inaugural LPGA victory, will provide a similar springboard to her career as Law has received in his. There are a couple of things, however, that have made me EXTREMELY CROSS! 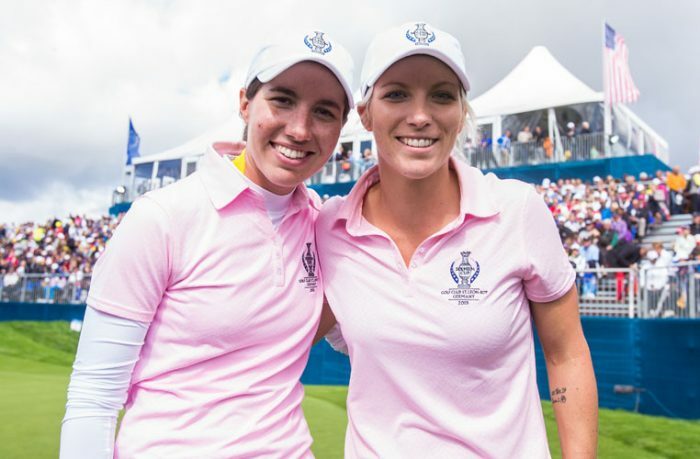 One, the Ladies’ European Tour who have done the legwork for so long down in Oz, were unceremoniously superseded and elbowed out by the much more affluent LPGA, meaning the opportunities for LET members shrank enormously. And then, despite all our protestations that we haven’t got equal opportunities with the guys, the LPGA players don’t turn up!! Divot of the century to the LPGA. See the bigger picture at least once in a while, please. All over the world golfers are being encouraged to attend meetings about the new rules, to learn how they’ll affect our day to day rounds and change our routines. There was one such meeting at Whittington Heath on Tuesday evening and I was sorry to miss it but sweltering in the summer sunshine in the southern hemisphere took priority. There are meetings here too but none of the dates has suited us so far. Not that we’re feeling deprived or anything because we have our very own rules guru here with us and she’s on top of the world at the moment, having passed the exam that she sat just before flying out to South Africa for some much needed rest and recuperation. 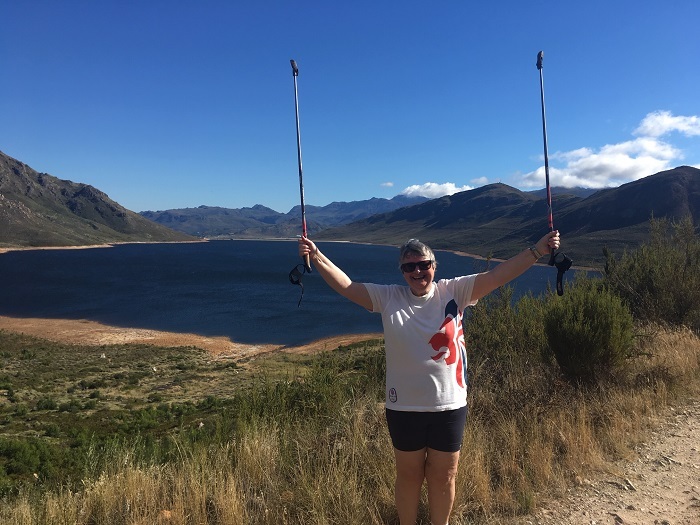 Referees have to be fit to tramp around at tournaments and keep their wits about them, hence the hiking poles and the London 2012 inspirational tee shirt and the undertaking of early morning treks in the mountains around Franschhoek. Pam Valentine, incoming ladies’ captain at Wrexham GC and ref in training, celebrates exam success and the joy of being on top of the Berg Dam in the morning sunshine. It’s not a hardship really because the scenery is stunning and the light takes your breath away and it’s easier than playing golf in temperatures of close to 40 degrees. Mind you, the downside of being on holiday with a couple of professionals and an about-to-be rules expert is that you can be in the swimming pool, contemplating nothing in particular apart from a very blue sky and a backstroke technique dimly remembered from a long-ago lesson in the swimming coach’s kitchen when snatches of conversation float in on the breeze: loose impediments; bifurcation; relief from divots; inconsistencies; slow play; equipment; suspending Sergio……and so on. If I pay attention, I should be quite knowledgeable by the end of the trip. Under expert supervision my dropping from knee height is already showing signs of improvement and I’ve had a good tip to help improve my near non-existent shoulder turn on my backswing: Just imagine you’re reaching behind you for a glass of red…..Worked a treat on our back nine at Erinvale yesterday, though even I can be vaguely limber when it’s so hot the locals are contenting themselves with nine holes. The clubhouse at Pearl Valley, a Jack Nicklaus Signature Course in a spectacular setting. 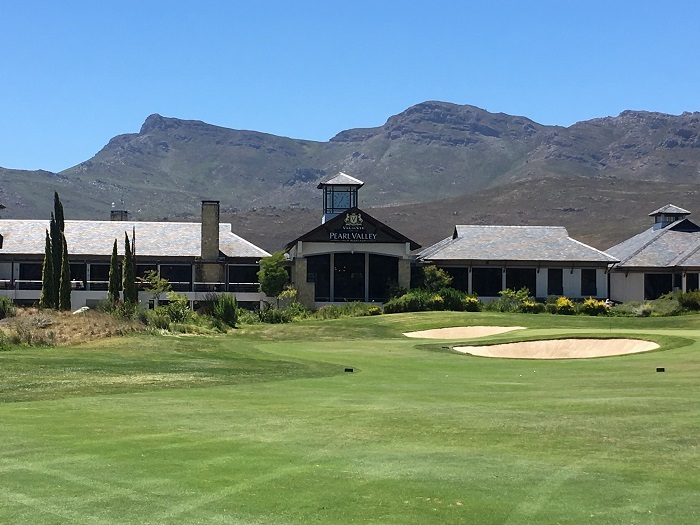 Before Pam had sat her exams in St Andrews the other three golfers on the trip added Pearl Valley to our South African play list. It’s a Jack Nicklaus creation, in a stunning (I defy you to come here and not over use that word) setting not too far from where we’re staying. We left early for our 0840 tee time and had such a quick, trouble free journey that Gillian and Maureen had plenty of time to hit balls while I had a bit of a mooch and took in the view. 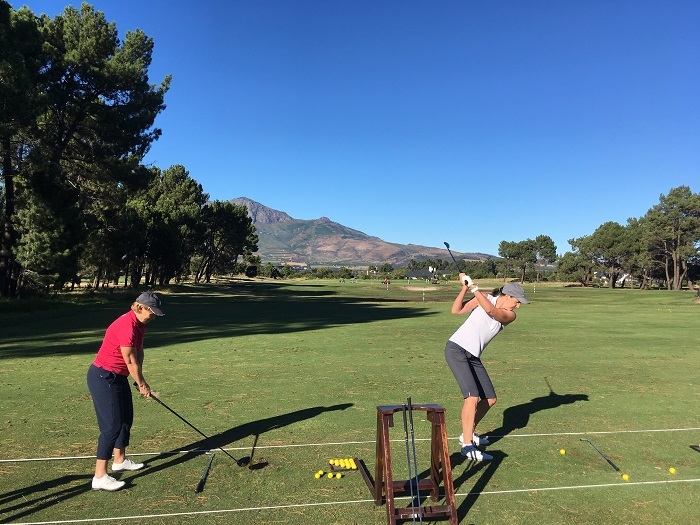 Gill (left) and Mo find it a pleasure to practise at Pearl Valley. I held my own on the course until Mo took the money when she won 7 skins at the death. The course was as immaculate as the surroundings bar an inordinate number of badly repaired pitch marks. If I ran a course in South Africa – or anywhere for that matter – I’d give every visitor a pitch mark repairer and a lesson in how to use it. It must deeve the life out of the greenkeepers. So far we haven’t found a winery that we don’t like but we loved the friendly informality of Eikehof, a small, family-run affair just outside Franschhoek that is onto its fourth generation – and we liked the wine too, especially the merlot. Lunch with Rae Hast, at Vergelegen, just across the road from Erinvale in Somerset West, was another treat. Vergelegen isn’t just about wine, the estate dates back to the early 1700s and you can learn about the cultural history of the Cape, including the slave trade and admire the stunning (that word again) surroundings and beautiful gardens. It’s worth a day or two of anyone’s time. 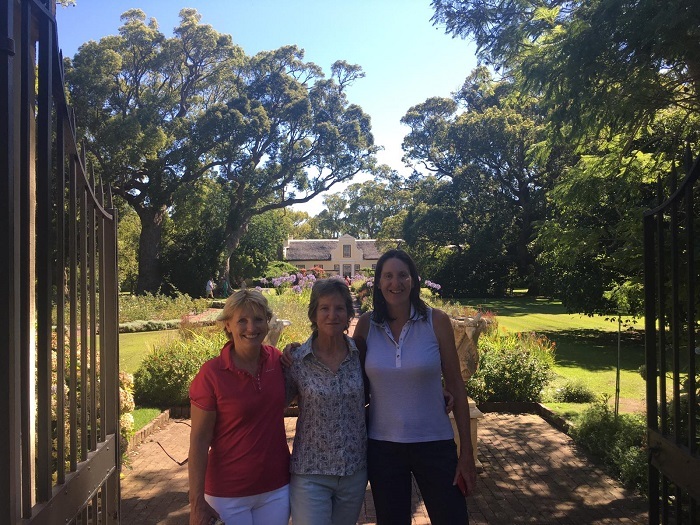 Reunion at Vergelegen: Gill, Rae and Mo all played on the Ladies European Tour in the 1990s. 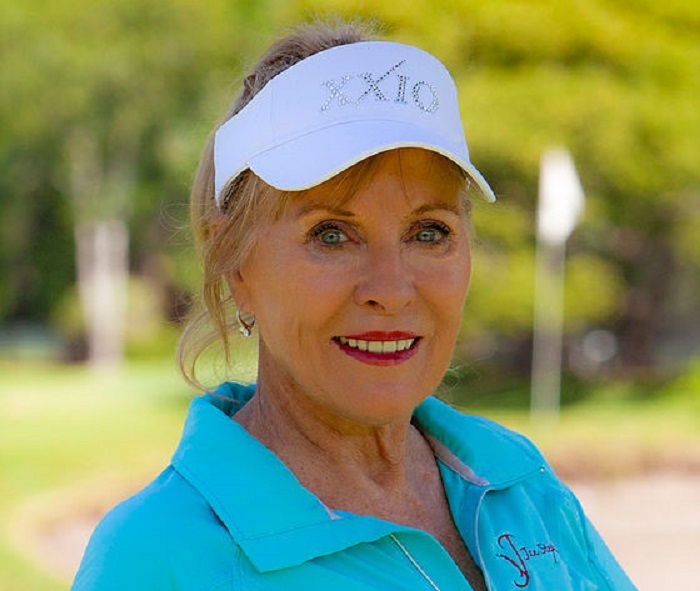 Finally, a quick congratulations to Jan Stephenson, who will be inducted into the World Golf Hall of Fame in June. Not before time. The Australian, whose life sometimes rivalled any soap opera, was glamour personified and an outstanding golfer, who won three major championships in the space of three years, culminating with the US Women’s Open in 1983. 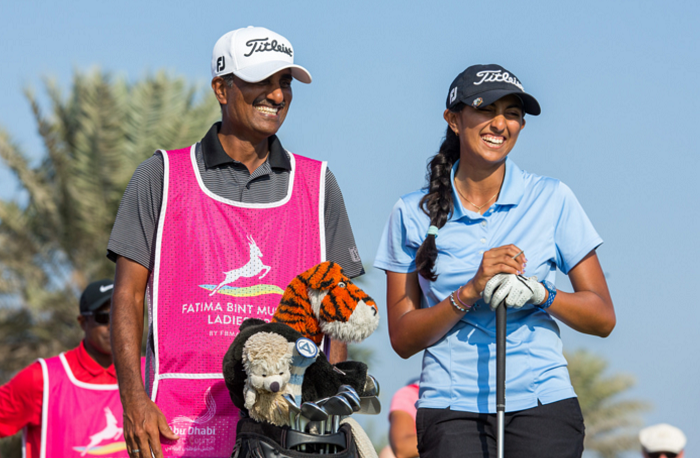 She helped found the Women’s Senior Golf Tour in 2000, now the Legends Tour and at the age of 67 still loves competing. Look her up, she really is worth reading about!